First Christmas as Mr & Mrs novelty Elf mug set. 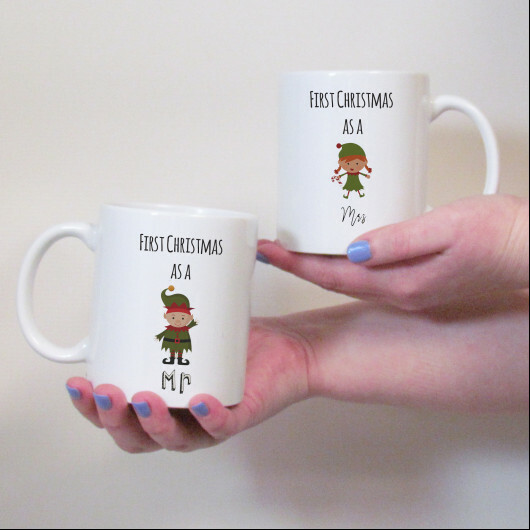 A mug set for a perfect couple to get into the festive spirit, makes a great gift for a newlyweds first christmas or a winter wedding gift. 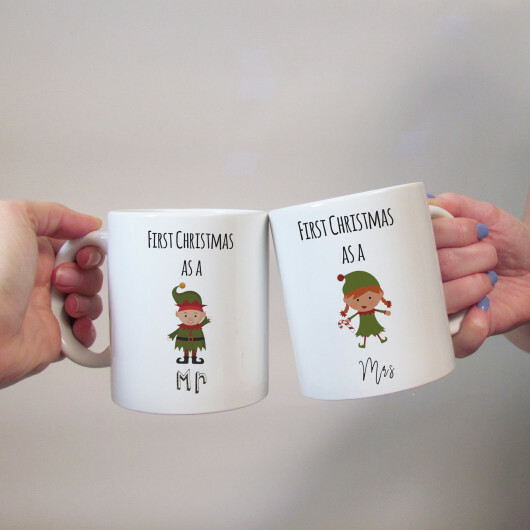 The mugs feature an Our First Christmas as Mr & Mrs design with the addition of festive elves. The mugs are designed so that they can fit together.